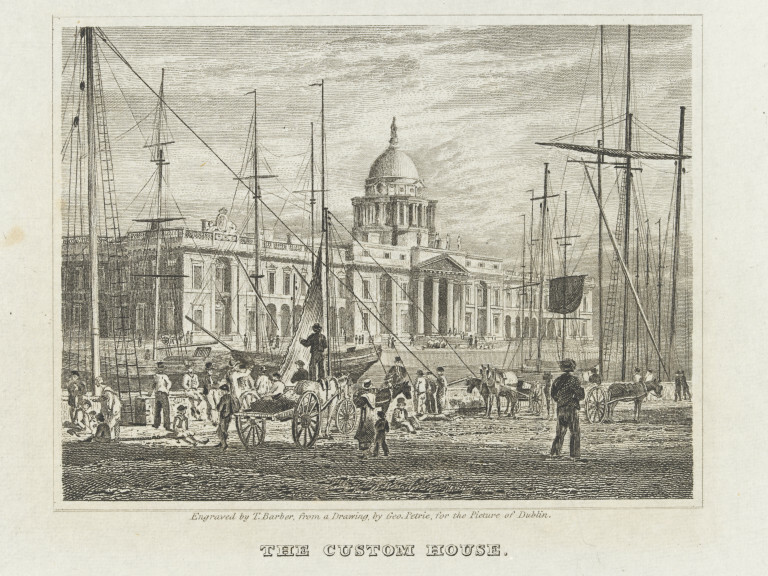 At Irish Wattle and Inside History we were very excited over the weekend to get an email from a Canadian researcher who has been looking for her Irish convict, Hugh Giffen, for many years, even to the extent of recently visiting Northern Ireland to seek information on him. She had found details of his trial in August 1789 at Carrickfergus Assizes, where he was sentenced to transportation for stealing three sheep and a firkin of butter but had reached a dead end. In contacting us, it seems she assumed that Hugh had been transported to Botany Bay, but had not found a trace of him, as we didnt either on on going through our records of the 1790s. However, a check through Bob Reece’s excellent book “The Origins of Irish convict transportation to New South Wales’ and we hit gold. We found that Hugh Geffin [sic] had been transported on the final shipment of Irish convicts to America, sailing on the ship the Duke of Leinster which departed from Dublin on 7 November 1789. The prisoners had been offloaded at Barbuda in the Leeward Islands and others at Antigua in the same group of islands and further reading of the relevant chapters of Reece’s book will make it clearer what likely happened to him. She will be keeping us posted on her progress. What excites us is that this is the first contact we have had with a descendant of a convict who was one of the last to be exiled to North America immediately before the beginning of transportation of the Irish to Botany Bay.